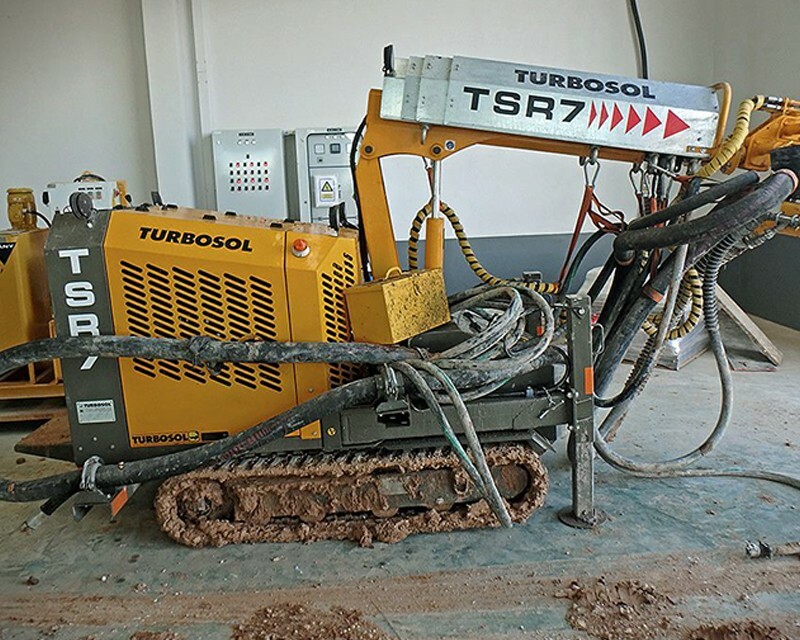 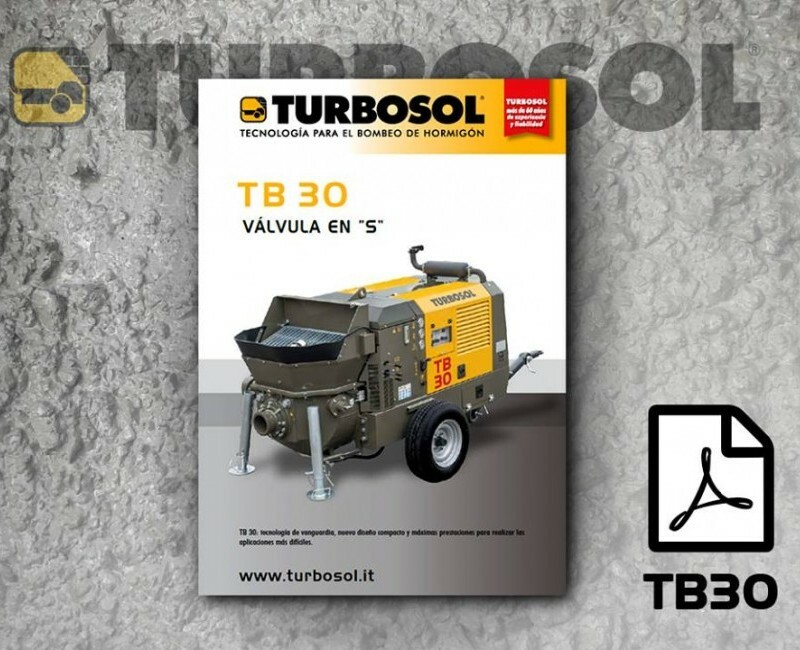 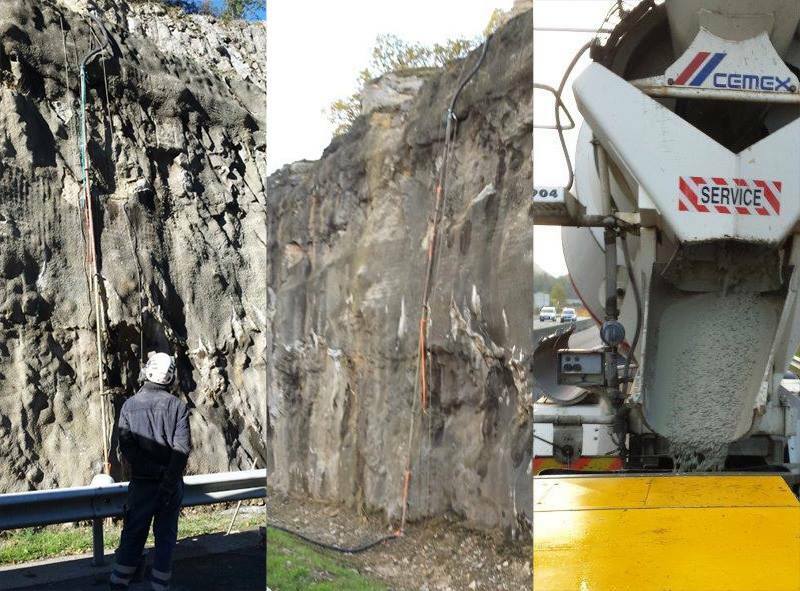 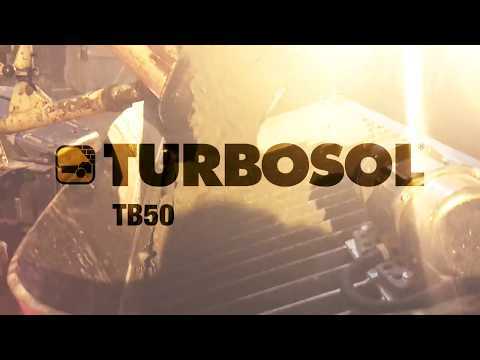 New versions available for Turbosol, TSR 7 the crawler equipment for shotcrete applications in jobsites with difficult access and tunnels. 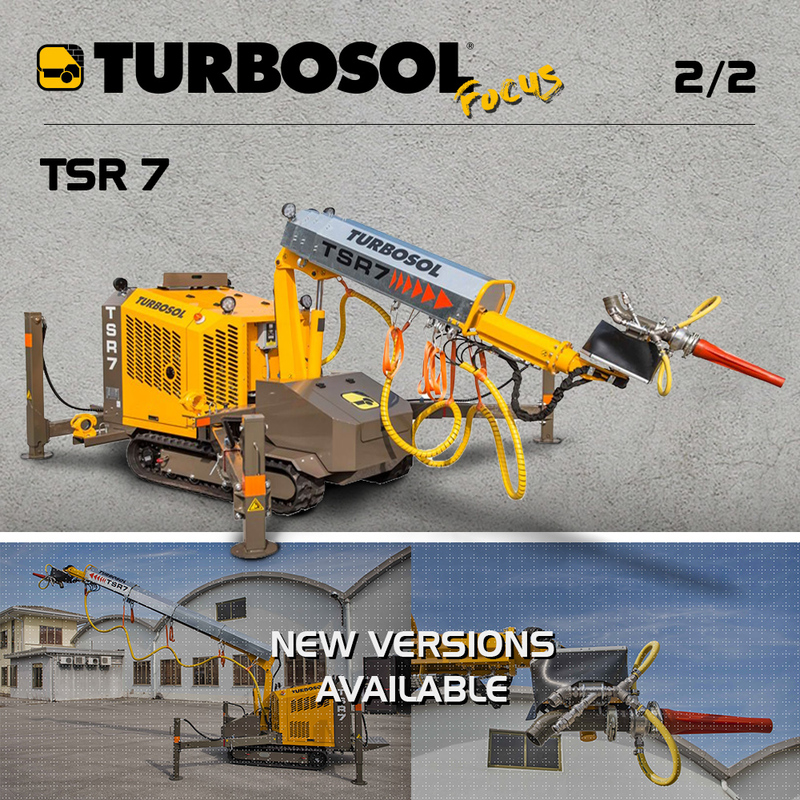 Thanks to the improved wrist design and the two extra rear stabilizers, TSR 7 is the best means to move in rugged and irregular work sites with total autonomy of movement. 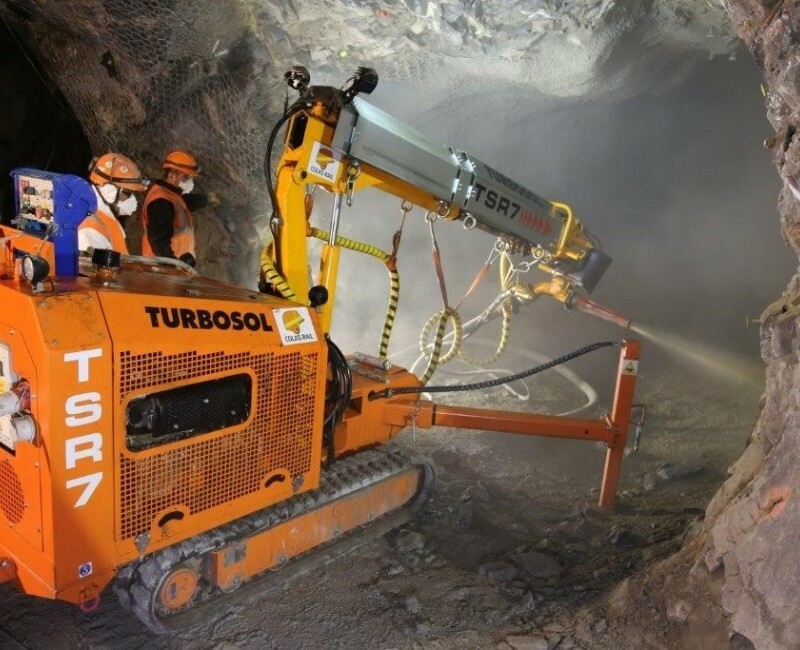 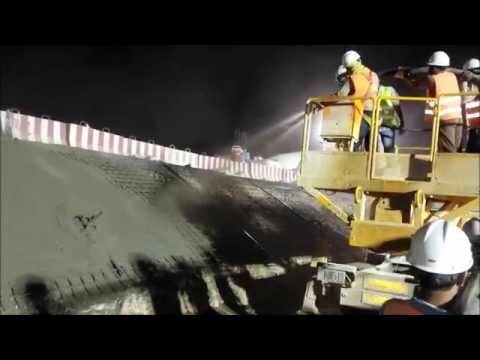 Designed to withstand the toughest jobsite conditions, Dragon the Turbosol shotcrete system, is the ideal solution for your underground works. 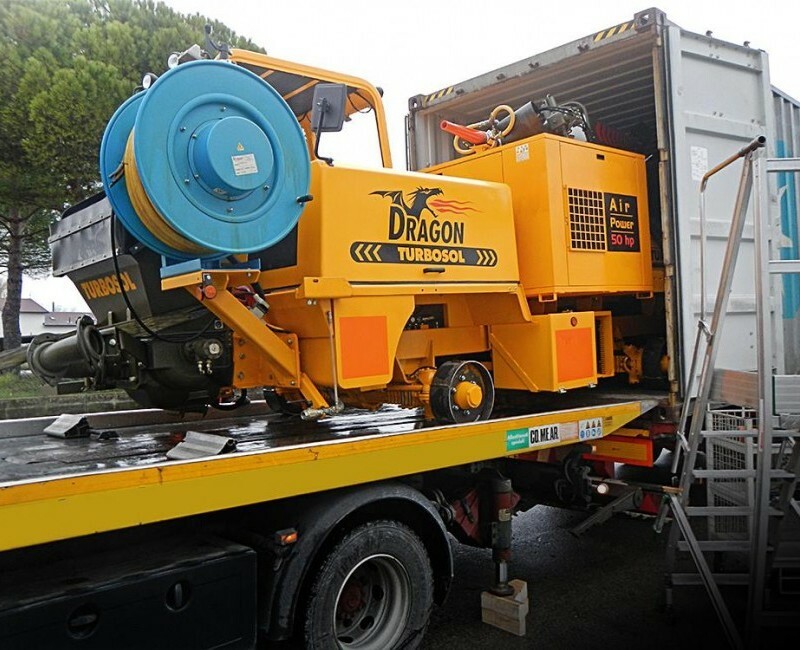 Dragon, compact concrete spraying system, leaving for France. 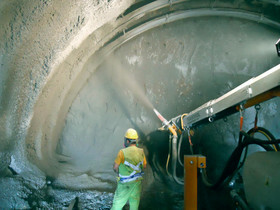 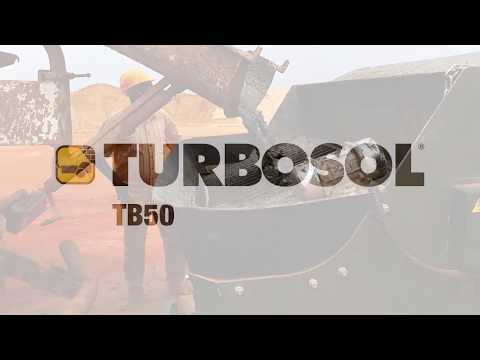 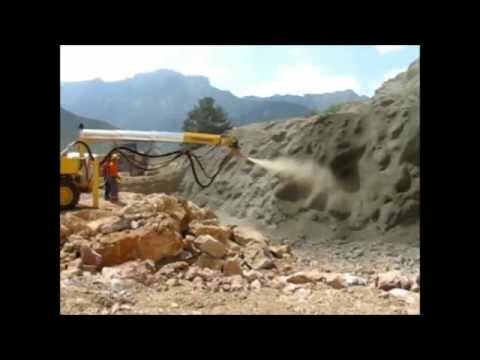 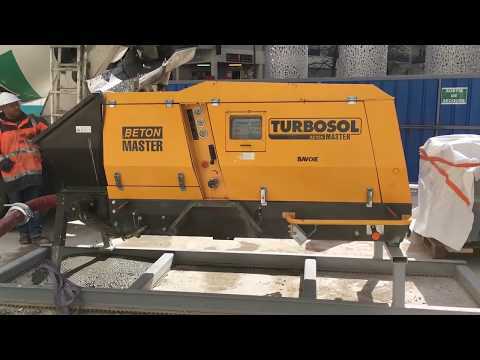 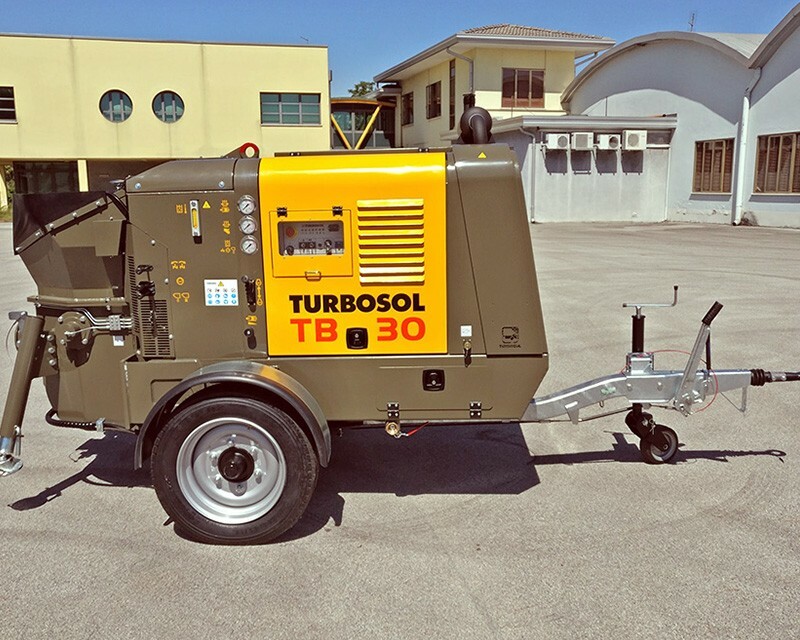 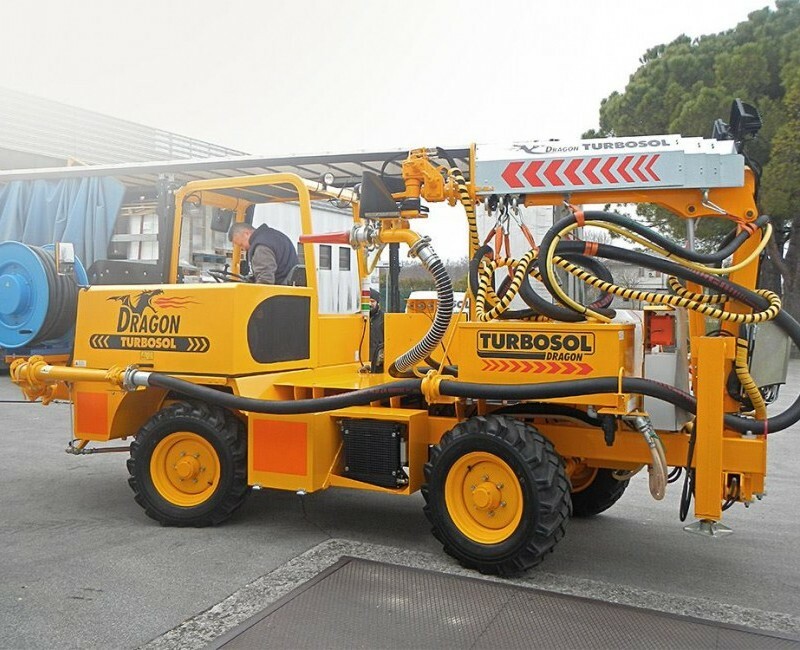 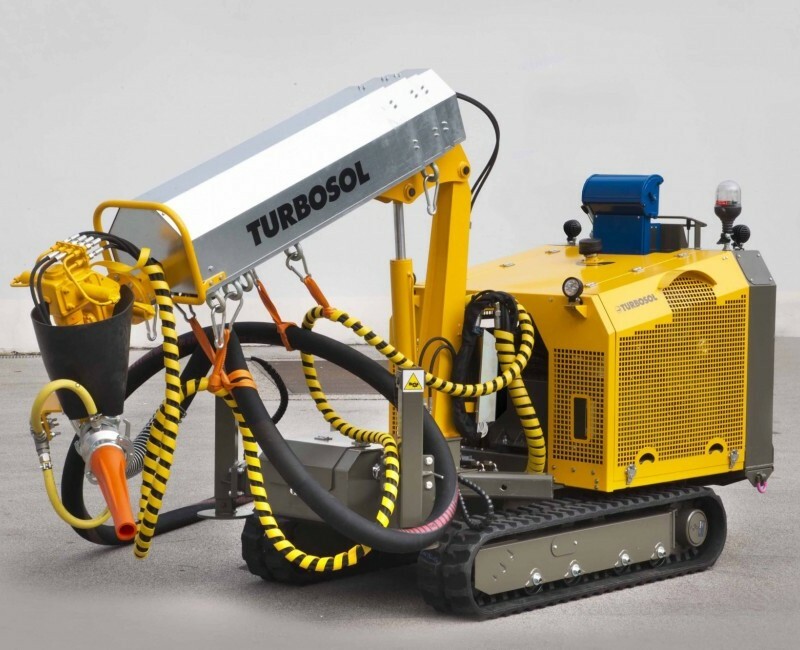 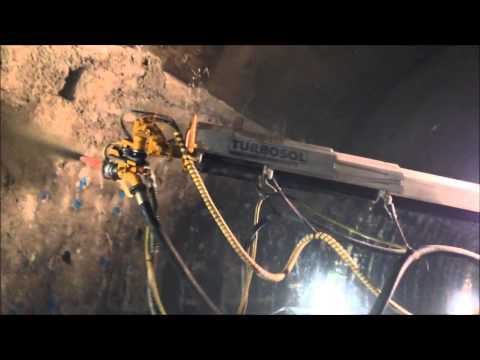 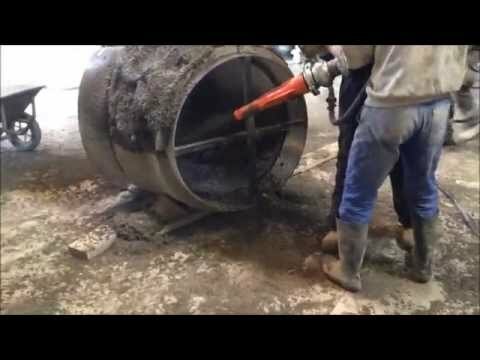 TURBOSOL DRAGON compact, versatile, powerful and unique high performance unit for your underground shotcrete works. 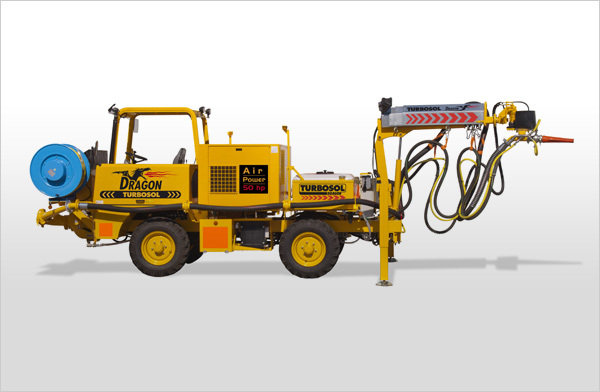 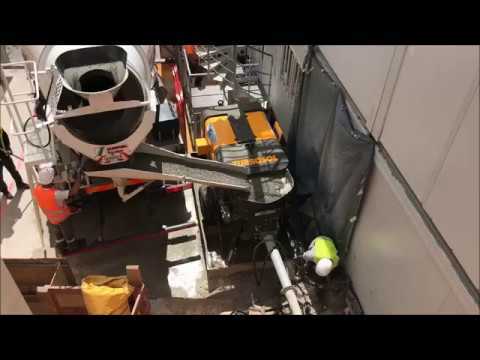 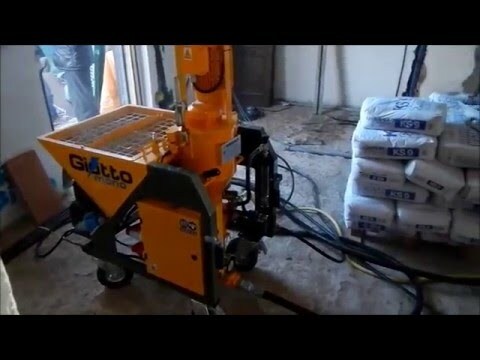 Dragon - Concrete spraying machineConcrete spraying machine DRAGON compact, versatile and high performance unit for your underground shotcrete works.